Established in 2013, Castle MedFlight is the aviation leader for air ambulance services. The company is led by Veterans and empowered women to create a more efficient and alternative way for air ambulance service. We are the most trusted critical care service provider anywhere. Castle MedFlight is based on outstanding customer service for those who expect the best! With an emphasis on: valuing those who serve our nation, civil service, philanthropy and humanitarian aide. 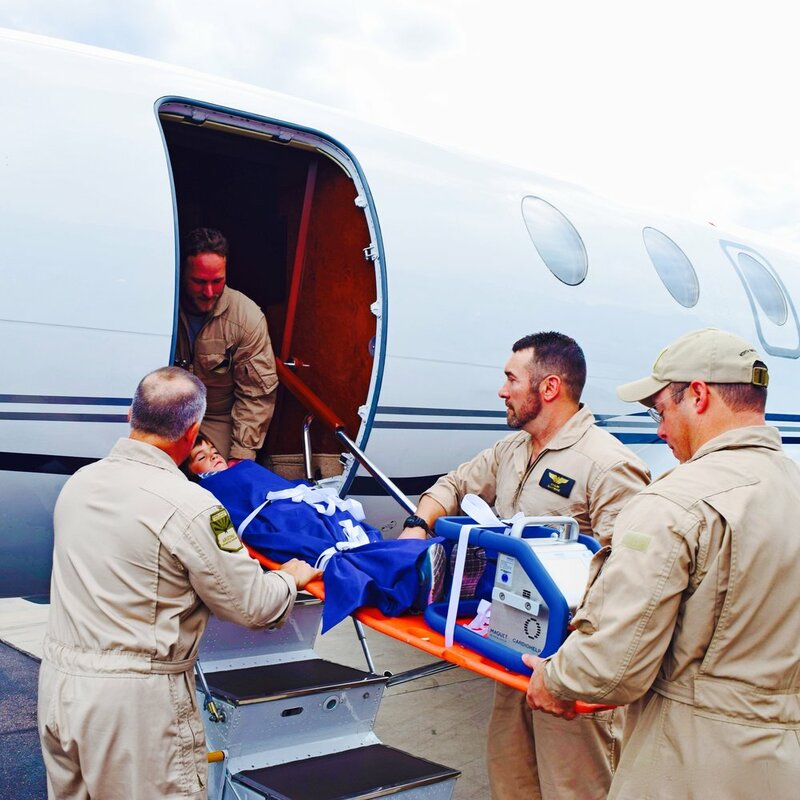 Castle MedFlight is an air ambulance and rescue service that provides its patients with the highest levels of compassionate care through our military based values of selfless service and uncompromising integrity. We provide our patients with the very best clinicians by employing an elite staff of veterans who have proven their value to our nation. Providing a superior level of care by utilizing cutting edge telemedicine technology, we continuously exceed standards in all industry aspects for your loved one. Surrounded with an expert team that has technology like none other and a level of focus that cannot be replicated. Castle MedFlight is ready to respond to your unique needs anytime, under any condition, anywhere in the world. At Castle MedFlight we are committed to making sure that at least 85% of our hiring comes from the military community and empowered women. In addition, we have a wide variety of programs to attract, support and develop our team. Castle MedFlight team members hold the highest qualifications in their fields, and always deliver the highest standard of service. Priding themselves on their courageous and positive team spirit, the Castle MedFlight team guarantees global solutions, and trusted critical care anywhere.